I didn't stock these wool "cakes" last year because I had Freia (which I still have as well), but decided this year to have both. The Katia Cakes are a finer gauge (and therefore more yardage) and feature a section of "tweed" between the color gradations. So while both are wool and essentially do the same thing, between the two brands, they offer different things to different people! 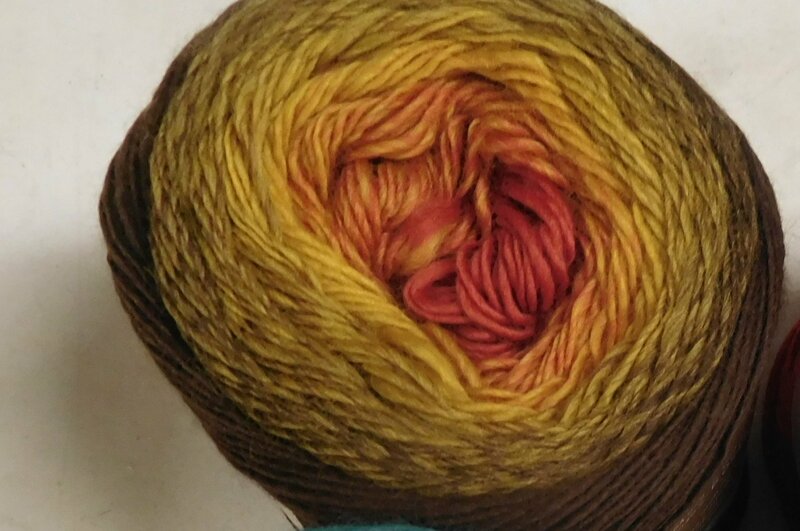 So if you want more color selection and no "tweed" region, check out the Freia. 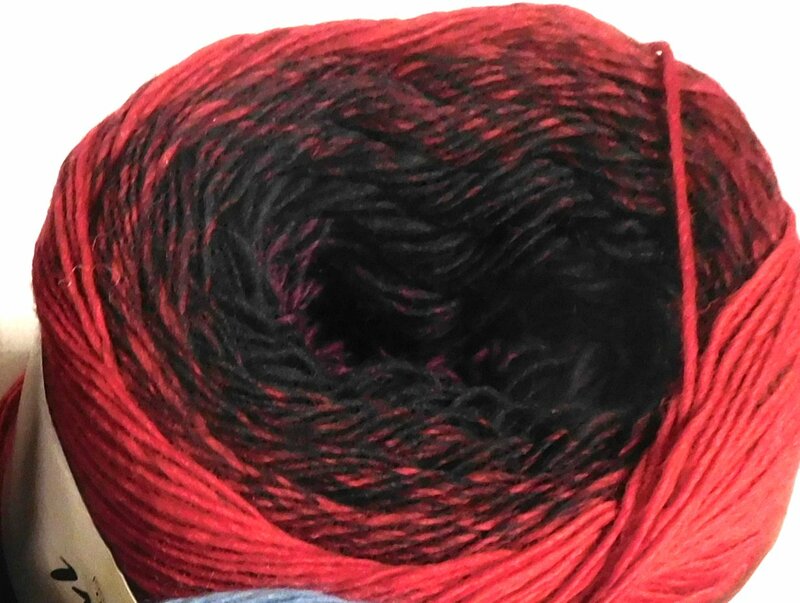 If you want your cowl/shawl finer gauge and need 656 yards, choose Katia! 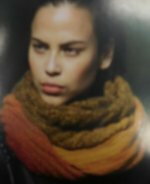 Each ball comes with a free pattern for the shawl shown below (it is wrapped up around her neck like a cowl, but is actually a triangular shawl). 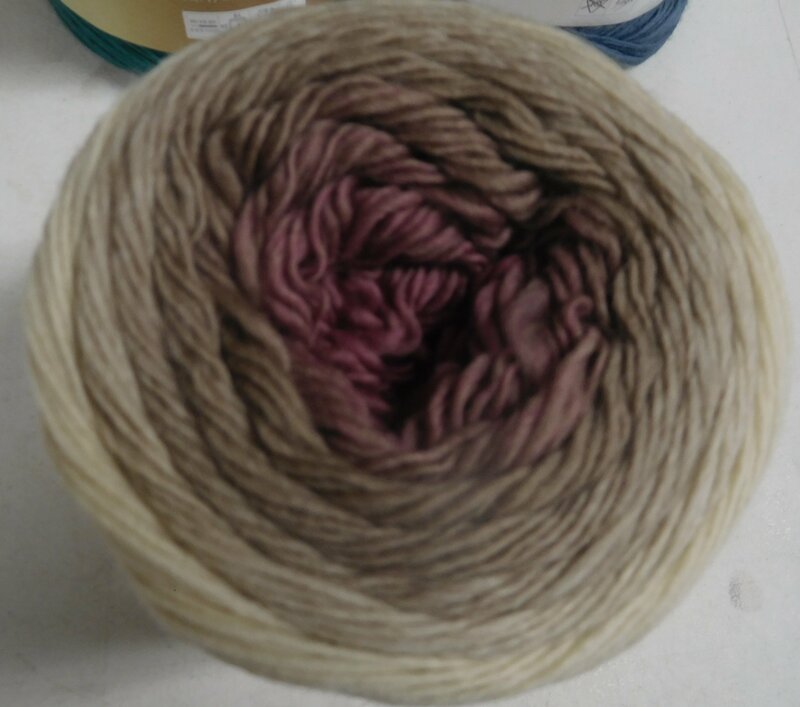 One skein will make it. 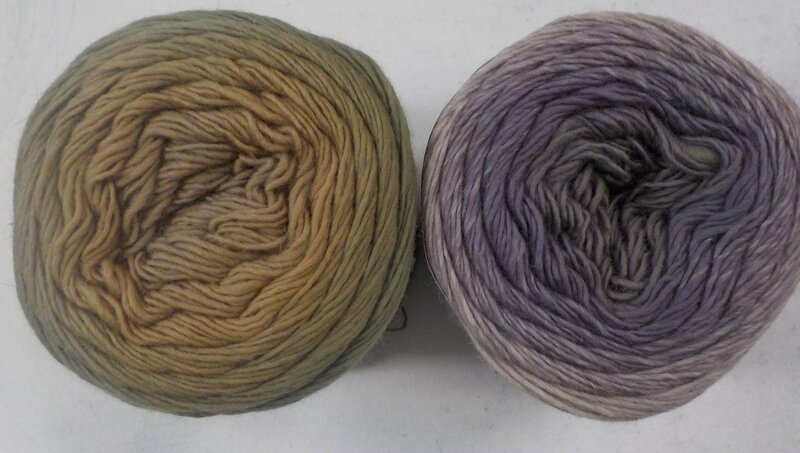 Two skeins to make a poncho. Sorry about the photos - if you click on each to blow them up, you can see the color changes better than in the thumbnails!